What is a South Carolina Rental Application? South Carolina Rental Application: What Is It? In South Carolina, a rental application is a tool that landlords use to collect information on applicants for a vacant apartment or rental property.. A rental application is important because they collect personal information that will indicate to the landlord whether or not an applicant would be an ideal candidate. 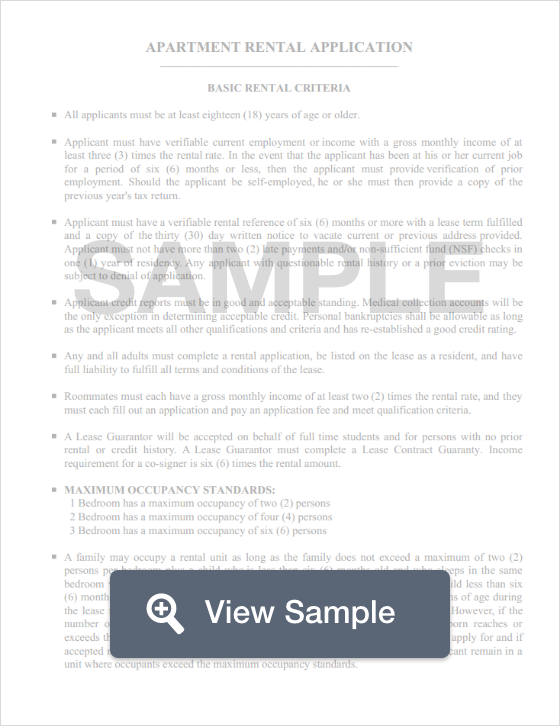 Rental applications can reveal previous bankruptcies, evictions, criminal history and income information about the person applying for the rental. These documents generally come with a fee that the applicant must pay. These fees are generally less than $100, but can vary by law or by landlord. The state of South Carolina doesn’t have any laws that limit the amount that a landlord may request, however, residents are encouraged to check their local city and county laws. Whatever the landlord charges, he or she must return it to the tenant (minus any fees or charges) within 30 days of them moving out and vacating the premises (S.C. Code Ann. § 27-40-410).